Location: Southern California campus of Western University of Health Sciences, Pomona, California, 30 miles east of Los Angeles. 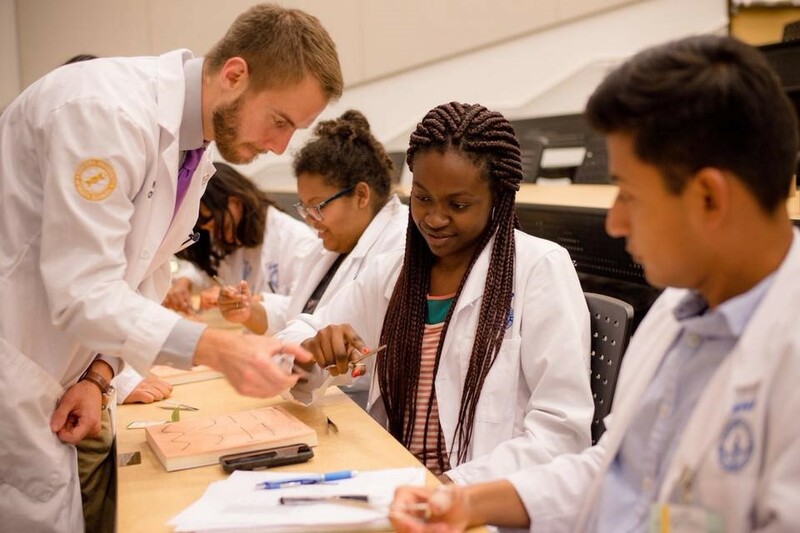 The WesternU Summer Health Professions Education Program offers an innovative approach to academic enrichment in basic sciences through team-based learning. WesternU SHPEP is a rigorously inter-professional program offered in a diverse and vibrant urban environment. Student learning of foundational science, inter-professional teamwork, heath disparities and healthcare policy will be driven by weekly clinical cases. Western University of Health Sciences is a comprehensive graduate health sciences university in the city of Pomona, 30 miles east of Los Angeles. In addition to the career pathways in Medicine, Dentistry, Physical Therapy and Optometry, SHPEP participants at WesternU with an interest in other health care professions will have the opportunity to participate in advanced experiences in Physician Assistant, Nursing (including Nurse Practitioner), Pharmacy, and Podiatric Medicine. Student accommodations and dining will be provided at partnering host college near WesternU. Clinical Experience: Opportunities to shadow clinicians in the WesternU Patient Care Center can be made by individual arrangement outside of scheduled class hours. Meals: Weekday breakfast and dinner and all weekend meals provided at partnering Host College. Weekday Lunches provided at WesternU. Travel Assistance: Round trip coach airfare reimbursed from locations outside Southern CA, with a cap of $500. For travel inside a 350-mile radius of WesternU, public transportation will be reimbursed at full cost of round trip ticket. Private taxi/car service will be reimbursed up to $80.00, each way. Personal car travel will be reimbursed at a mileage rate of .545 per mile. Stipend: $600 will be distributed in two equal amounts to program participants at the beginning of week 1 and in week 5 of program. Housing: TBD, single or double occupancy. Health Insurance: Not provided. Students must have their own insurance or purchase coverage. Social Activities: Southern California offers an incredible variety of recreational opportunities. Optional weekend social activities will be offered to students. Some weekend trips can include beach visits, Hollywood, theme parks and hiking local mountains and visiting Joshua Tree National Park.